A pioneering match just yards from the seaside – what’s not to love? 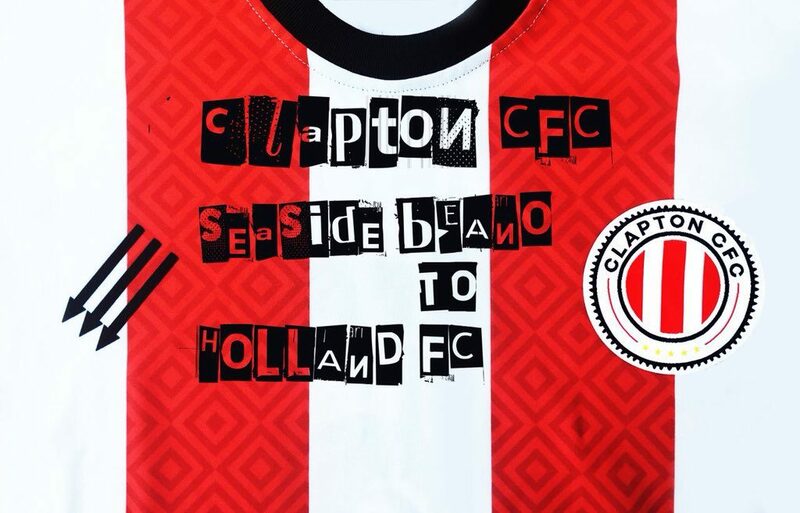 Not only will this be Clapton CFC’s first game, we also have the honour of being the first ever opponents at the £550,000 Eastcliff facility in Holland-on-Sea, a 15-minute walk from Clacton station. They’re a great community club, who were previously groundsharing with FC Clacton, and have been switched sideways to the new Essex Step 6 league, the Eastern Senior League South for the new season. There’s a coach going there and there’s food and a bar available. Geoff Ocran and Romelle Pile’s thoughts on our first match, a 5-0 loss in a friendly against Holland FC to open their brand new ground.